THE PERFECT BLEND OF TIMELESS TRADITIONAL EXTERIOR & TODAY'S POPULAR GREAT ROOM INTERIOR DESIGN. 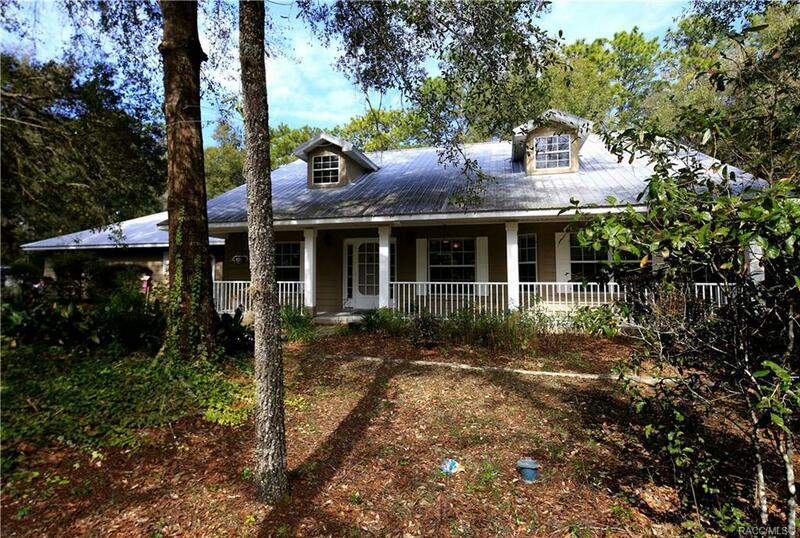 This exceptional 3 Bedroom - 2 1/2 Bath Home with 2,570 Sq. Ft. of Living Area delivers a casual lifestyle on a beautifully wooded 1 Acres Homesite in the desirable community of Citrus Hills. Thanks to its open design plan this choice property offers spacious living space that follows through to all extra large bedrooms with split planning. Among the home's features is a Computer/Work Area with built-in shelves, raised country Stove/Fireplace, Large Screened Lanai and Master Suite Bath with Separate Tub & Shower. Construction highlights include a long-lasting metal roof. durable concrete lap siding and extensive use of easy-care tile flooring. Still another feature is the large 30' X 24' Garage ideal for boat storage and workshop area. THIS RARE ARCHITECTURAL FIND IS PERFECT FOR ENJOYING LIFE IN THE MIDST OF ONE OF THE REGION'S MOST SOUGHT AFTER NEIGHBORHOODS! Directions: From Norvell Bryant Take Essex Avenue All The Way To Fresno. From Fresno Turn Right Onto Olympia Street. Follow To Home On Right.